I have recently returned from a long weekend in Melbourne. I popped over primarily to see the exhibition Vienna: Art + Design at the National Gallery of Victoria (which was well worth it), but also took the opportunity to catch up on some of Victoria’s other wonderful offerings, including the Johnston Collection in East Melbourne, and a trip out to the Bendigo Art Gallery. I attended a study day at the Johnston Collection, a must visit for anyone visiting Melbourne who is interested in Georgian, Regency and Louis XV fine and decorative arts. 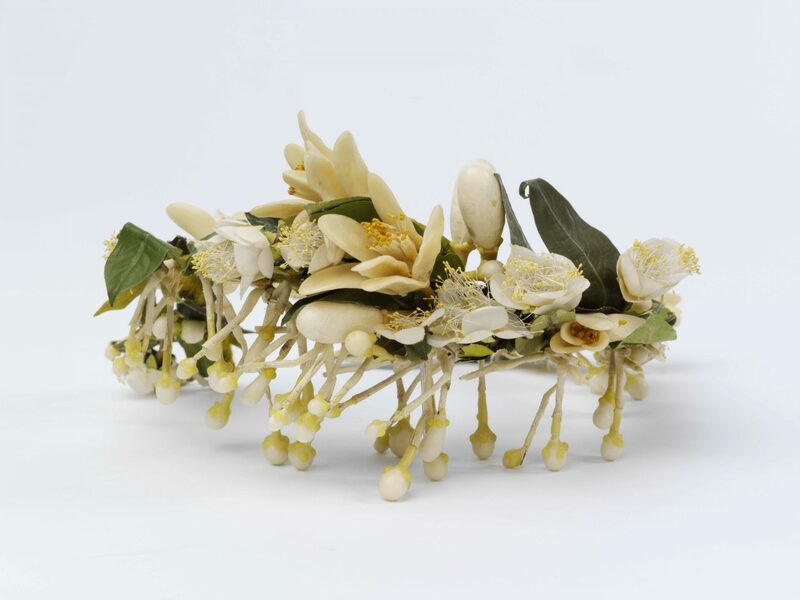 ‘Bringing the Garden Indoors’ was designed to augment the Johnston Collection’s current exhibition The Garden of Ideas, curated by Richard Aitken and based on his book of the same name. The speakers included Aitken, who gave a wonderful talk about the ways in which the tradition of flower arranging assisted in the wider appreciation of Australian flora (including use in wedding bouquets); Elizabeth Anya-Petrivna who explored the tradition of creating artificial flowers in the 19th century from a bewildering array of materials from wax, paper and feathers to cork and leather; and Gloria Strzelecki who examined the art of flower arranging through the eyes of some of Australia’s leading modernist painters, such as Margaret Preston, and discussed the far-reaching influence of English florist, Constance Spry who toured Australia in 1959. In one of those lovely cases of synchronicity, the lessons learned during the study day played out the following day on a road trip to Bendigo to see the wedding dress exhibition which will open at Te Papa on 17 December as Unveiled: 200 Years of Wedding Dress from the Victoria and Albert Museum, London. In another gallery, Elizabeth King’s wedding dress of 6 September 1941 glowed not with wattle but with buttercups. 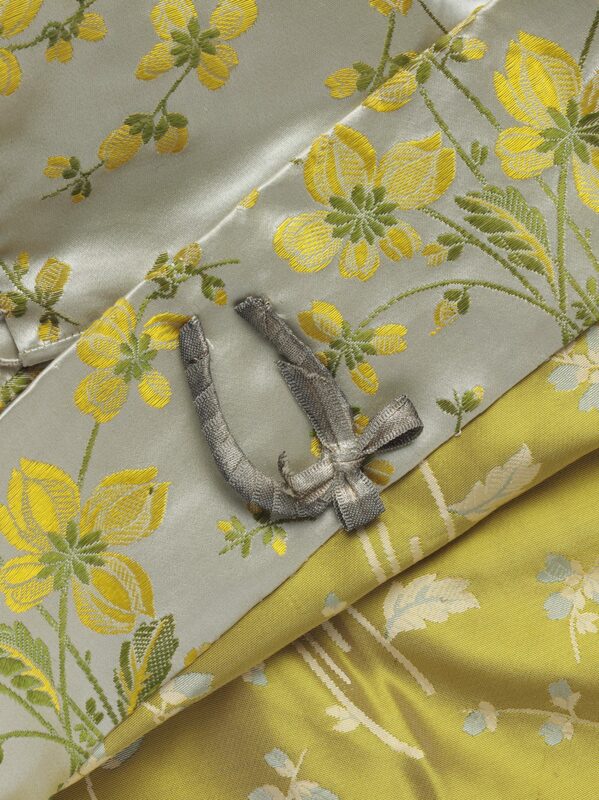 With war-time rationing many brides turned to non-rationed fabrics such as upholstery fabric. 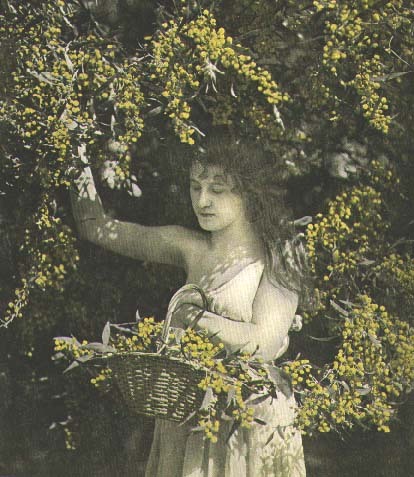 King, a florist who worked for Constance Spry, chose a light weight upholstery fabric which featured sprays of buttercups – a touch of cheerfulness in war-torn times. Despite being a florist, Elizabeth chose to carry a prayer-book rather than a wedding bouquet. 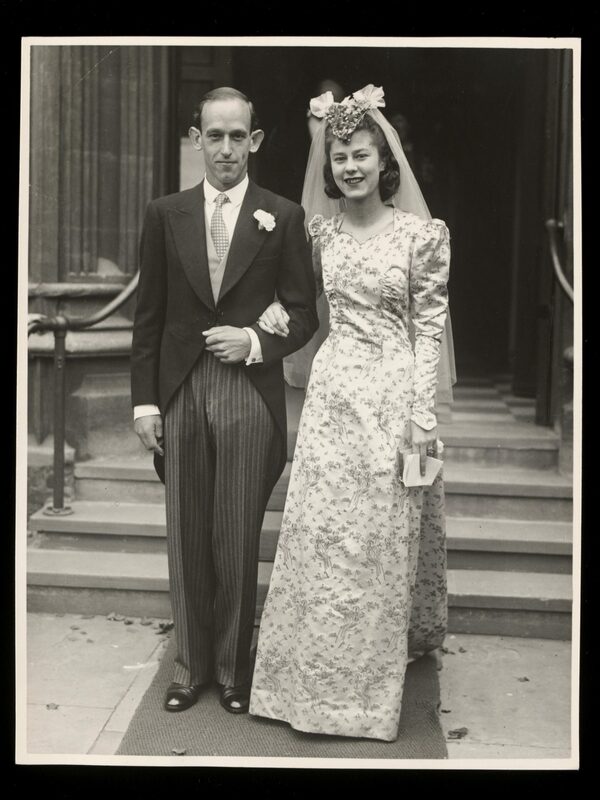 Elizabeth King and Ralph Rowland Absalom on their wedding day, 6 September 1941. V&A Furniture, Textiles and Fashion Archive. The language of flowers flows throughout the exhibition. A silk waistcoat from 1848 is touchingly embroidered with lilies of the valley and forget-me-knots, symbols of purity of heart and true love. Margaret Whigham’s 1933 dress by Norman Hartnell is beaded and appliqued with orange blossom. Charles Rennie Mackintosh style roses adorn the train of a Liberty gown. Unexpectedly Ian & Marcel of London have created a border of roses in silicone rubber on a net veil (1989). The language of flowers is just one way to read this engaging exhibition. On a final surprise bridal note, while in Melbourne, I also caught a new documentary on the British designer Paul Smith which was playing as part of the Men of Fashion film festival. Although Smith proved to be a charming subject, the surprise star of the film was Andrej Pejic – a male model from Melbourne’s outer suburbs whom Smith at first mistakes for a girl. Pejic’s ‘femiman’ looks have since taken the international modelling world by storm. Jean Paul Gautier further fuelled the controversy surrounding the 19-year-old when he recently sent Pejic sashaying down the catwalk in a figure hugging bridal gown at Paris Fashion Week.